Moon Cake is the special food of the Mid-Autumn Festival. People sacrifice moon cakes to the moon as an offering and eat them for celebration. Moon cakes come in various flavors according to the region. 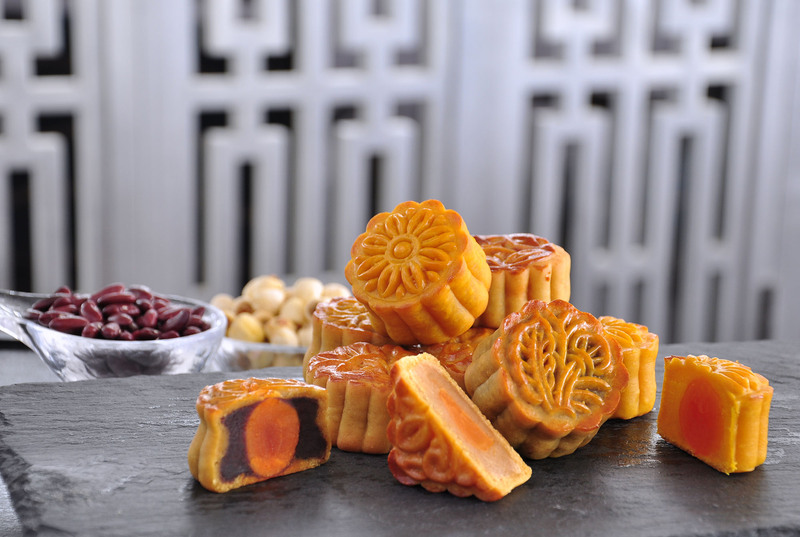 The moon cakes are round, symbolizing the reunion of a family, so it is easy to understand how the eating of moon cakes under the round moon can evoke longing for distant relatives and friends. Nowadays, people present moon cakes to relatives and friends to demonstrate their goodwill. This year Chatrium Hotel Riverside Bangkok is proud to present a collection of meticulously handcrafted mooncakes for this seasonal gift during this Mid-Autumn Festival. Our Chinese Chef creates home-made mooncakes filled with custard, lotus seeds, red beans and durian in a premium box set as a gift for your relatives and friends to wish them fortune and longevity. Celebrate this celestial tradition with our Mooncake Creations, available at Silver Waves Restaurant and Treats Gourmet from August 27 until September 27, 2015. 1 Box (4 pieces) is Baht 320 and a 10% discount is available exclusively for Chatrium Privileges Card Members. Visit our Silver Waves or Treats Gourmet to select your flavors of mooncakes or call Chatrium Hotel Riverside Bangkok at 0 2307 8888 ext. 1948, 1921 for further information.